Rita Odjaghian asks: Is there an Armenian community center in Armavir, or an Armenian church? Do you have the phone numbers? Please let me know. You can get in touch with the office of the Union of Armenians of Russia in Armavir. Information about the Armenian church in Armavir. You can use this service to translate sites from Russian. 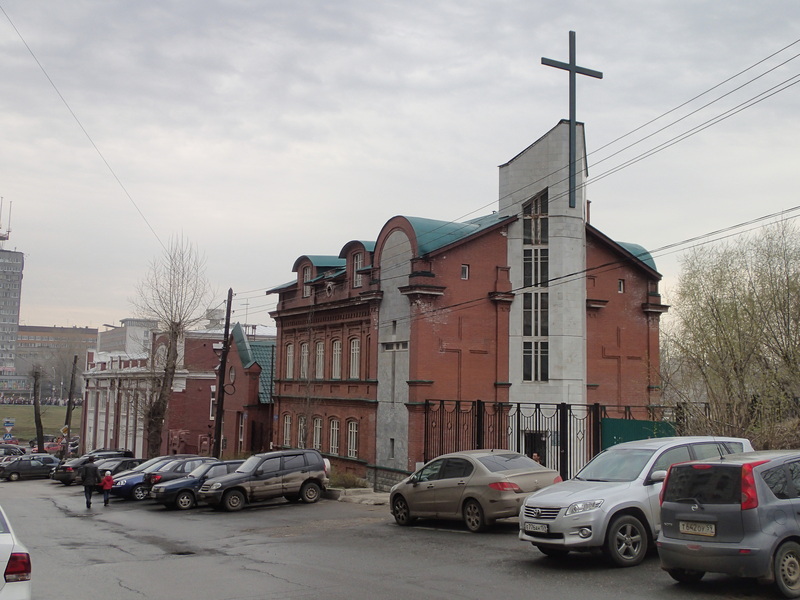 Carla asks: Are there Baptist churches in Perm, Russia? Yes, there is one church named Church of Hope of Evangelical Christians-Baptists. It is located on Osinskaya Street, 17. The photo of the church. christopher asks: What is the latest news on the reconstruction of the great choral synagogue in Samara? I have tried to find the latest news about the reconstruction, but unfortunately found nothing, probably it is not finished yet. Here are the photos of the synagogue when the restoration works began. Adi Setyo Budi asks: I will visit Saransk by next week, is there any Moslem commuity at Saransk? Here is the site of Religious Muslim Boards of Mordovia Republic. The regions of Russia with the majority of Islamic population are the republics of the North Caucasus, Tatarstan and Bashkiria. Here is the list of the largest mosques of Russia. henry asks: How many Moslem people in all Siberia from Oral to Far East in 2010? Unfortunately there is no such statistics, also it should be said that the total number of Muslims living in Russia is a question without an answer. The numbers vary from 10 to 20 million people (most of them are Tatars and Bashkirs living in Tatarstan and Bashkortostan respectively). Mike asks: Are there any Jews or Synagogues in Yaransk? According to the All-Russia Population Census of 2002, there were about 700 Jews on the territory of the Kirov region, Yaransk is part of the region. There is no info about Yaransk itself (the last one is from the year of 1880; that time there were 41 Jews in Yaransk). There are no synagogues there.